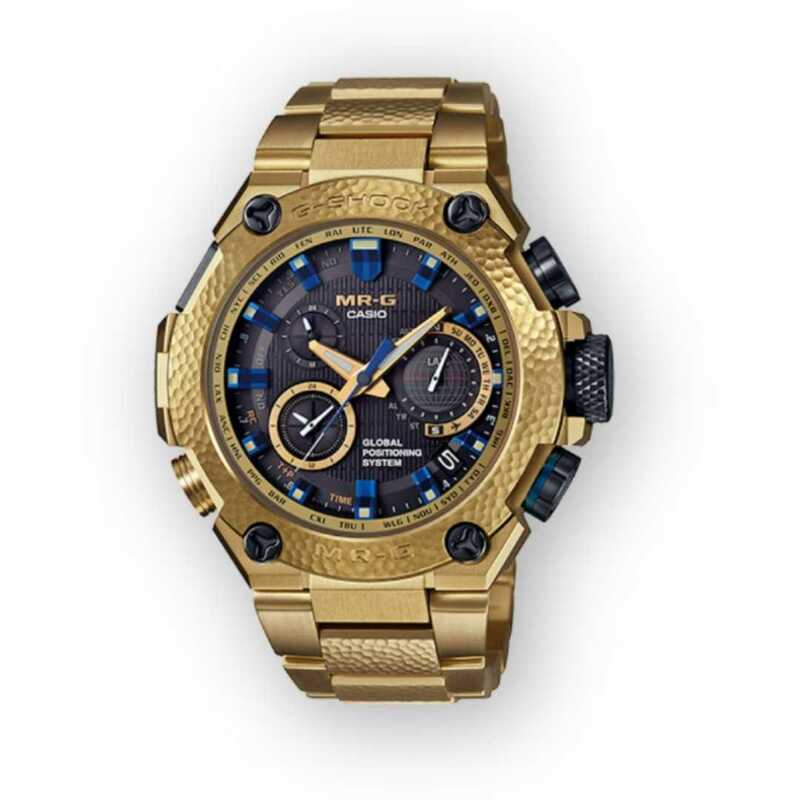 G-SHOCK MR-G – sleek, stylish arm candy. Perfect for the guy in your life. As seen, retails for $6200. Handcrafted in Yamagata, Japan, the limited edition luxury MR-G GPS Hybrid Gold Hammer Tone timepiece is the second collaboration with third generation master metal craftsman Bihou Asano, who individually hammered each bezel and band of 300 watches using the traditional Japanese Tsu-i-ki technique. Each timepiece features a titanium case and bracelet band, non-reflective sapphire crystal, GPS satellite synchronization system for accuracy, Multiband 6 and Tough Solar capabilities. High quality paper goodies that are equally cute, as they are clever. All cards are illustrated by the owner and entrePUNeur, Angelica Hanley. She “draws” inspiration from pop culture, things she loves and places she travels. A card for every imaginable occasion, ACouplePuns delivers sweet messages accompanied by disarmingly darling drawings on superb card stock that is scored, folded and packaged by hand! Masculine in style, classic in simplicity. The Barrow Modello Coal features a worldly, clean design that scoffs at basic smart watches too many people are wearing. Included is an additional free strap with each watch, meaning you can easily smarten things up when day turns to night. Swiss movement, sapphire crystal glass, a solid steel case, and all comfortably priced, sets Barrow apart from other brands that are less than. Fashionable yet functional! Bubba bags have a shiny or matte quilt fabric with strong reinforced stitches. They are water resistant and repels light rain or simple spills. The large center compartment fits up to 15″ laptop or tablet and the adjustable straps are padded for easy wear comfort. Their main line of backpacks includes the Classic Collection and Matte Collection. Both contain bags that come in regular and mini sizes. Bubba Essential Bags are Canadian-born and designed, but after a successful distribution throughout the world, Bubba is approaching the U.S. first with distribution on Amazon. Find them available for purchase at www.amazon.com/bubba. They’re also taking social media by storm on Facebook @bubbabags, global spanish instagram @bubbabags and U.S. instagram @bubbabagsusa. Have an adventurous guy in your life? Upgrade his travel gear with the Cozy Pillow and Blanket Bundle Pack! The pillow had a portable Carry Bag with drawstrings for easy storage and the blanket had a cozy foot pocket to keep it in place on a plane or in a hammock. Definitely snuggle worthy! By offering basic skill training in inventory management, packaging, shipping and sales, Hippy Feet is able to give homeless youth an opportunity to transition out of homelessness, into the workforce, and back on their feet. In addition to employment opportunities, for every pair of socks sold, another pair will be donated to a person in-need. All products are made in the USA using environmentally friendly materials. Designed to help with falling and staying sleep, the Dreampad offers highly researched sleep technology hidden within a comfortable pillow. It works by triggering the body’s relaxation response, resulting in a more relaxed state of mind which is conducive to sleep. MistyMate®’s full line of personal misters gives you the ability to take continuous mist wherever you go. The misty operates without batteries, motors, electronics or fans enabling them to deliver high-pressure mist with virtually “no moving parts”. Perfect for anyone your active Valentine! Arm candy is old news! It’s all about ear candy! LL is constantly adding new styles to their collection – keeping a devoted follower of fashion trends perfectly equipped from season to season! All items are handcrafted and are truly like no other. Leaders Cosmetics brings you the best in Korean sheet masks by combining innovative technology with proven natural ingredients. Every formulation is developed by a group of 15 leading dermatologists – providing pure, natural and effective skincare that you can trust. Leaders empowers women to take care of themselves from the inside out with skincare products and formulations that work in just 20 minutes of “me time”. These stunning Mallorca Pants are inspired by balmy summer nights and picturesque views found in this Spanish destination. High-waisted, fitted through leg with flare from knee. Cut slightly short for our petite gals. Thick waist band to flatter and smooth in just the right places. For the Love of tea! Warm up your sweetie all winter this Valentine’s Day with a personalized collection of tea, delivered monthly. Each box is personalized to her tea preferences, features 4 unique tea brands totaling 15 cups of tea at only $15 a month. Sips by™ is an Austin-based brand started by tea lovers who want discovering tea to be fun, personalized and affordable! Keep her skin looking fresh and dewy with nyl Skincare! A collection of all-natural products handmade weekly in a kitchen — not a factory. nyl focuses on delivering clean, yet effective products that won’t harm you or the environment. Free of toxins, animal products, parabens, and petroleum products, everything nyl makes is vegan and cruelty-free. The Sunshine & Glitter’s Gypsy Collection is made with Biodegradable glitter ready for partying from day into night. Beach Gypsy SPF 30+ offers Broad Spectrum UVA/UVB protection with 80 minutes of water resistance and Biodegradable glitter. As the sun goes down, Day is Done After Sun is a gorgeous glitter aftersun with nourishing aloe and cooling lidocaine in case you needed some cooling. These beautiful Stemmed and Stemless Maps Champagne Flutes which are available in EVERY U.S. City/Town and 1000+ iconic Topographic Map locations around the world. The glasses are the perfect way to say I love You—celebrate her with a glass featuring the map where she grew up, met her partner, went to college, got married, etc. The glasses feature an intricately designed map which is etched entirely around it and extends from top to bottom, achieving a striking effect that makes any beverage more fun to prepare, serve, and drink. Stumped on the perfect gift to get your guy? These glasses come as Rocks and Pints too! Empower your favorite gal pal and do a whole lot of good with the stackable favorite, Nic D’Andrea’s Miss Bracelet collection! You can feel good about giving a gift that gives back, too! New for 2019, a proceed of each sale collection will go towards, Girls Inc. Girls inc works towards encouraging and supporting healthy and active lifestyles at their more than 1400 sites in 400 cities across the USA and Canada. The Comfy is the “As Seen on Shark Tank” solution to staying warm and cozy wherever you may be. It’s a blanket…it’s a sweatshirt….it is just awesome and SO warm!!!! Curl up on the couch, pull in your legs (and/or arms) and find out what The Most Comfortable Thing You’ll Ever Wear is all about. Perfect Balance World has done what no one else has – they’ve built balance into their clothing by adding “landmarks” which show the yogi where to place their hands, feet and arms while doing yoga poses. These landmarks are designed to help them perfect their yoga poses and stay in them longer. When using the landmarks, they will never slip out of their pose again – they gain the Perfect Balance. This cheeky children’s-style book for adults shows the realities of mom life. Whine Down humorously captures the hiccups in every woman’s parenting journey, and how to find time for self-care in the middle of chaos. For your Sweetheart with a Sweet tooth! So long dusty chocolates in a tacky heart shaped box! Real butter, sugar, milk chocolate, and hand sliced almonds prepared with love, one batch at a time, every time. And, naturally gluten-free! Made the old-fashioned way, creating handmade toffee without the use of machines, microwaves, or assembly lines. Using the very best ingredients remains a priority and a promise. What better way to show your loved one how special they are then with cupcakes in a jar!The only hard part is deciding which ones you like best! They make the sweetest gift and have a gluten-less line to choose from. Melt their heart with Chocolate Pizza Company. Express your love exactly the way you want with this unique, delicious treat! Add your own words to this heart-shaped delight with an impressive candy avalanche border to create something they won’t be able to find anywhere else! Is your Valentine a Wino? Blendtique Wine Company is a fun, hands on wine experience. You can create and design a personalized wine blend from the comfort of home. For the first time, you –the enthusiast- can take part in the winemaking process, not simply to taste, but to blend, experiment, and even package a wine created thoughtfully by you, for you. This entry was posted in Uncategorized and tagged 360, 360 Magazine, ACouplePuns, as seen on shark tank, bags, Barrow Watches, biodegradable, blendtique, bracelet, Bubba Essential Bags, candy, champagne, champagne glasses, children's book, chocolate, chocolate pizza co., Classic Collection, cosmetics, couples, cozy pillow and blanket bundle pack, Dave’s Sweet Tooth, dreampad, gift, gift guide, girls, Glitter, Grand Trunk, guys, hippy feet, jewlery, lavish leathers, leaders cosmetics, love, Matte Collection, mister, mistymate, nic d'andrea's miss bracelet collection, nyl skincare, pants, paper, perfect balance world, shark tank, sips by, skincare, socks, SPF, stemless, stemmed, sunshine and glitter, sur la cote, sweatshirt, Tara McDonough, tea, The Barrow Modello Coal, uncommon green, Valentines Day, Vaughn Lowery, watches, wine, yummy cupcakes, The Comfy on February 7, 2019 by wp360mag.